From out by the road. I would think that spot by the tree by the pond would be nice. 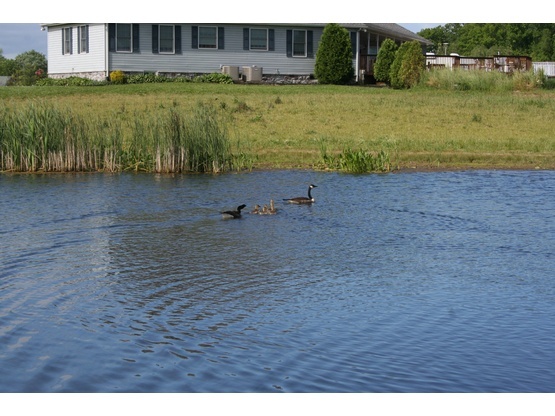 2 broods of geese this year, plus a brood of ducklings and a family of muskrats. We live on 8 acres west of Townsend. 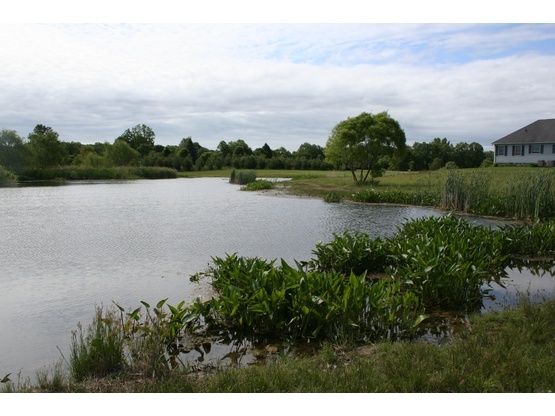 There is a pond for those who like to fish. There's some good size bass, crappies, and catfish, among others. There is plenty of room to turn around and it's nice and quiet. I have a 30 amp RV power outlet on the back of the house that will reach to the driveway with an extension cord. There is a dump station at the Smyrna rest area about 8 miles south. $10. We're 20 miles from Dover Downs for you race fans, and the beaches are about 80 miles. Hard to say now that we're retired. However, we're never far from the Internet. Give us a shout! I put in the two day notice requirement for when we are out of range, but it's always worth a try. What a wonderful property!! Thanks for having me! This was the perfect location for visiting Philadelphia. Beautiful property and gracious hosts! Thank you! Malcolm and Terry are amazing hosts. We are new RVers and there are tons of things we still do not know about this new lifestyle. Malcolm helped us with a lot of things including the set up and how to know better our RV. He did it with a smile and great humor. We can’t thank him enough for what he did and what he taught us. 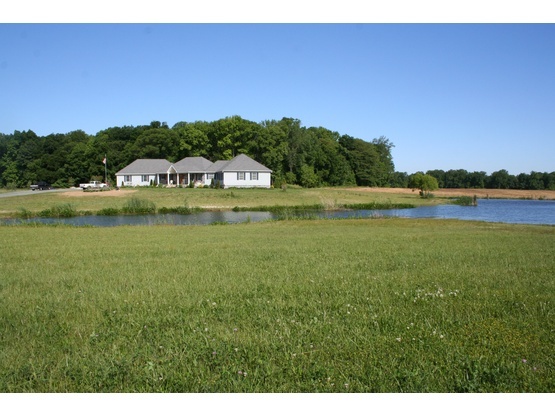 The property has great views of a lake and we truly enjoyed the fall scenery of the trees and surroundings. Thank you Malcolm and Terry. I cannot say enough great things about this host and their lovely property! So peaceful and quiet! They greeted us, helped us get parked and set up with both water and electric. Our dog really enjoyed being able to run freely around the pond and we enjoyed walking in the back! We will definitely pop-in next time we are in the area. We enjoyed our stay at this beautiful property. It was quiet and peaceful. Our host was very accommodating when we had to change dates a couple times due to travel plan changes. He was also very helpful when helping us back in with our 39 foot rig. Our toddler also enjoyed having space to run around and we enjoyed viewing their gorgeous property. We were unfortunately unable to stay the whole time due to a family emergency but we do recommend staying here and we are hoping to come back in the future. We could stay with Malcom & Terry during a heavy night with lots of rain and thunderstorm. No problem as we were safely placed on the driveway of their more than beautiful property that let us feel to visit the president. Even more valued were the chats we had with Malcom. We highly enjoyed our short stay and say « thank you guys ». Beautiful property! Nicest people ever! Hope to visit again. So beautiful and quiet! They welcomed us, offered us water and electric and we were able to see them in passing a few times in our 2 day stay. We caught 15 fish out of their catch & release pond. Our girls enjoyed all the space. We really enjoyed our first stay in Delaware. Terry and Malcolm were very accommodating and friendly. They have a beautiful spot, that is serenely quiet and peaceful. It's close to the city, which is where we went the lost few days, so it was nice to have a great spot for home base, that we could enjoy while we were home. If you're looking for a quality place, with some very nice people, this is your spot. Thank you so much for hosting us, we really appreciate it. The owners were not at home, unfortunately as subsequently we have heard so much about them. The Brother-in-Law however welcomed us and showed us around and was very nice. 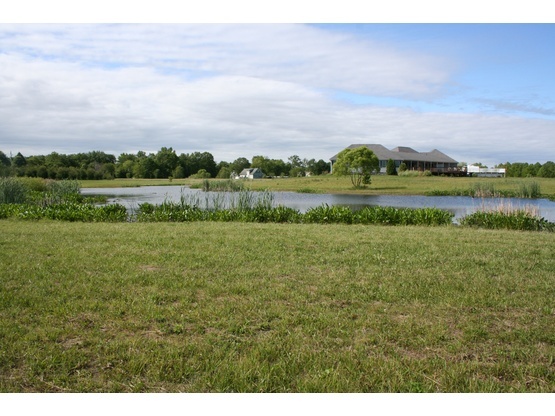 Their place is amazing, beautiful with a huge pond and we enjoyed walking around the property! Everything was perfect and we look forward to stopping on our next trip south. We stayed 2 nights. Was very quite. Thanks for offering such a great place. Love, Love, Love this spot. Terry and Malcolm were so easy to work with especially when our plans and route changed. They were so great with the flexibility of our stay. Although due to schedules we never actually got to meet them as they were busy during our stay, and we were off playing tourist. They were wonderful to have their brother meet us to get us all set up and show us around the property. He was great. Now for the property all I can say is wow! Such a beautiful place. If you love nature this is the place to relax. They have a beautiful property and they give you their back yard (which is huge) to park on! The ground was level and they had 30amp, water and cable! Very easy to park as there is a large area to turn around and pick your spot. We are 45ft long and had tons of space. They have a huge pond right next to the camp area where we enjoyed watching 2 families of geese swim. We also saw deer near the woods at the back of their property and a peacock cruising by on top of all the birds, and other pond friends. We did not fish, but heard it was great fishing and they are happy to have you fish. They allowed our dogs to run off the leash and our dogs loved running their property. I would walk with our dogs around the property and just couldn't help but smile the entire time. On top of all this greatness we explored their area of Delaware, which was beautiful and it was a short hour drive into Philly on a Sunday where we enjoyed the day exploring. Thank you again Terry and Malcolm! We stayed here for three nights, it was great for us. The property was easy to drive into, flat, had a good electric and water hookup and a nice pond filled with fish. My husband and dog spent many hours entertained by this pond while I worked! Cell service is spotty, but with a hotspot we were able to work remotely. We briefly met one of the hosts, he was very nice and truely wanted us to enjoy our stay. The town is about 10-15 minutes easy driving away with any store you'd need for supplies and food. We were so blessed to have found this spot. Terry and Malcolm could have not been more accommodating. Very kind and generous! We really enjoyed our stay there- the property was beautiful and we had everything we needed!!! Spent 2 nights there. Host provided 15 amp service, but only because they had a second big rig there with 30. Easy to find, easy to get in and out with our huge Motorhome and car. Malcom greeted us and got us situated. We had time to chat a few minutes before he had to leave. We felt very welcome and safe here. The property is beautiful. Feel like we have known these folks our whole life but have yet to meet. Can't thank them enough for allowing us to stay even though they were not there to greet us. Beautiful location close to a great park and small towns. Im sure we will meet in our travels one day soon. Until then safe journey. We really appreciate de calm and serenity of Terry and Malcom. We hope we see them again. Terry and Malcolm were great host, and the location was great as well. There is a huge pond, and we enjoyed catching tons of bass, and sunfish. The location is close to Philly, which is an amazing city to visit. We really enjoyed our time here, and would recommend it to anyone. We really enjoy their wonderful property. It's a little gem in the countryside of Delaware. We hope to see them next time for thanks them for their generous hospitality. What a beautiful property and easy to get to from Google map directions. Correspondence with owners was effortless and responses were received in a timely manner. We did not get to meet them but her brother was there to greet us and explain where to set up. It was a quick overnight stop on our way through Delaware and wished we would have had more time to visit the area. After setting up, groceries and fuel were a short drive away. We should have tried our luck in the pond! Thank you for offering this awesome, quiet, and peaceful spot. We had a very warm but hurried welcome at Malcolm and Terry's place as we got there late and Terry had to leave very early the next morning. He was very helpful, providing electric which was much appreciated as the temperature was in the 80s and very muggy. Hoping we can come back and have a longer stay in the future. Neat guy with beautiful site. Had a restful night after a long day travelling on our way home on last leg of journey. Wonderful host on a beautiful property. We wanted to Thank Malcolm for his wonderful hospitality and generous spirit. 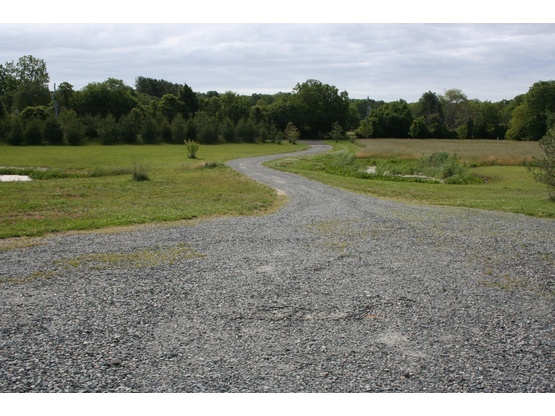 He has a beautiful home and property in a great location in Delaware. We really enjoyed the time we spent with him. Take care and we'll hope to see you again. Your new friends, Mark and JoAnn. We are sorry that we did not meet our hosts. We did have a nice quiet spot. The pond and fishing was a plus. Hope to see you some time. I must say that this is the most beautiful place that we have boondocked. I talked to Malcolm several times because they were not going to be home but made us feel very at home. All correspondence were received very quickly. I can't say enough great things about this place. Terry and Malcolm were our first boondockers experience, and we were so happy to have met them! He was out of town for work, but still had the time to meet us and to accommodate us, and his pond... omg! I fished there every day! Rain or shine i was out fishing, the family loved it, thank you so much for opening the gates and welcoming us! Definitely recommend!! I contacted Malcom,, he said he would be away but Bert was there mowing when i arrived. Terry and Malcolm were the most welcoming hosts. 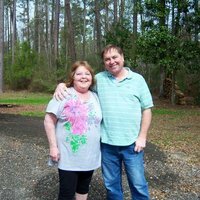 They helped us out with our RV Lil'Chief and were a total delight to deal with. Quick reply to my request. Warm, caring and a lot of humor. We enjoyed a nice dinner together and parking was a dream for our little RV. I can't thank them enough for all they did for us. Can't recommend Terry and Malcolm ENOUGH!! Hope to see them again soon! Roy and I enjoyed our brief stay with Malcolm. We visited a while and enjoyed the conversation! We highly recommend this host to anyone that will be in the area. Our 39 foot home easily fit there! Thanks for graciously opening this space for us! These kind folks were able to give us a spot even though they were away at the time. We were well looked after by family members at the house who provided a quiet spot and some power. Beautiful setting and very peaceful. Also very convenient to get to from the main roads. We stayed for two nights and had a nice relaxing time here. T welcomed us and we felt right at home. If you're going to stay anywhere in Delaware...This is it! Not only are they kind and welcoming people, their property is beautiful and quiet. They opened their place up to us in a big way, even offering dinner and a most welcome shower. Thank you so much!! Picture perfect site with warm, gracious host. The site is a little off the beaten path, but delightful. Hope they can come visit us. The Ponderosa was huge and beautiful! We stayed w/ Terr & Malcolm back in Oct on our way to the wilds of FL. They were incredible hosts. Gave us our choice of camping locations w/ evrey available service - water, elec cable even air for a low tire. We were visiting the Newark, DE area to visit grandkids. Terry and Malcolm graciously allowed us to stay in their beautiful backyard. Unfortunately we only got to spend nights here due to our busy schedule. We rested peacefully each night in their quiet environment, ready to go at the crack of dawn. We hope we can see them at our place in Florida someday. We stayed with Malcolm for just 1 night last week. We did not have the pleasure of meeting Malcolms wife Terry as she was away. Malcolm was a great host and made us feel very welcome. We wished we had more time to stay another night, especially as there was great food on offer :) Nice quiet location, electric and water hook up on level ground.